We are excited to have time to fellowship with Heaven and with each other as we are further equipped to bring greater freedom and facilitate heavenly connections for people. This event “sold out” last time, given the growth of the UK Sozo family it seems likely to be the same this year. Due to room capacity, space in some seminars will be limited and some seminars could become ”full”. You will maximise your seminar choice by booking early. 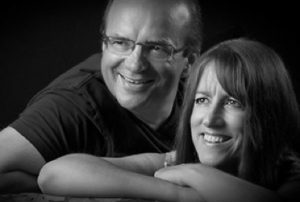 Worship will once again be led by Helen & Matt Gallagher. While they have led worship at large events, written songs and released CDs, that is not why we have invited them. We love partnering with them because of their passion for worship in the local church, training, equipping and mentoring emerging worship leaders. Paul will speak and close the conference on Saturday afternoon. Dawna, as co-founder of Bethel Sozo, needs no introduction to the Sozo family. Do you sometimes experience “battle Fatigue”? We are created with a Body, Soul & Spirit and each part of us can be assaulted as we live out our daily lives. This seminar will equip you to understand what is coming against you and how to wield speciﬁc weapons to overcome the enemy’s strategy of attack. You will be given insight into winning battles physically, mentally & spiritually. With her gift of teaching, she easily translates these revelatory insights into practical, useful, and lasting tools. Join Dawna for a revelatory day which will empower you to break ungodly cycles, heal soul wounds, and stand in authority over the spiritual realm. Teresa Leibscher – Job: A book of suffering or healing? Teresa likewise needs no introduction. As the co- founder of the Sozo ministry with Dawna, Teresa has also founded and leads the Shabar ministry working with fractured individuals. Her latest publication, “Book of Healing” is a unique perspective on the book of Job exploring how to receive freedom from “Religious Deceptions” and how to recognise the difference between “Godly Counsel and ungodly opinions”. Yvonne is the Director of the Transformation Centre at Bethel Church, Redding. She is a specialist in addiction and “trauma-informed” training. Teaching on dealing with unresolved trauma, exploitation and betrayal, Yvonne helps clients with unmanageable internal conflicts resulting from unresolved traumatic experiences. In addition to heading up her own ministry, she speaks internationally and has published 18 books. Laurie lives in Delaware and is a Regional Sozo Facilitator for Bethel Sozo. Have you ever wondered how could you Sozo someone with Autism, Down Syndrome, Dementia, Cerebral Palsy, Learning Disabilities or any other disability diagnosis. Laurie’s book and this seminar track, Sozo Unshackled, explores, not only how to do a Sozo, but at a deeper level to change how we see those with such a diagnosis. Understanding the impact it has when people never approach or minister to them. Using the Bethel Sozo tools, Sozo Unshackled will help you, your client, their care-givers and their church community to see all people as Heaven sees them. The three sessions will explore tools and accommodations for doing sozo with people with disabilities and how to implement them with the different challenges to overcome. Darrell, Anthea & Liz have produced the Sozo for Couples teaching & process. Sozo for Couples can be as much a “check-up” for those in a happy and healthy relationship who just want an “MoT” on their marriage as for those facing problems. In Sozo for Couples, the couple share the experience of having Father God, Holy Spirit and Jesus salve any wounds and address any lies in the life of the person sitting next to them, the person they have each committed to for life. This experience shared with each other and with God, is the catalyst for a new understanding of each other. Sozo for Couples isn’t sozoing two people at the same time, it’s a three-part process that encourages initial getting-to-know-you chat and ends with a time of coaching. In addition to main sessions all together there will be 5 all-day seminar tracks on Friday that will be repeated on Saturday. You are invited to select 1 seminar track from the 5 available to attend on the Friday and 1 to attend on the Saturday. There will be tea, coffee pastries / biscuits available on arrival each day and during all breaks. There will be a fully catered buffet lunch available on both days. Your booking allows you to specify special dietary requirements. There will be a room set aside for mums & babies with a video & sound link to the main auditorium. You are welcome to be with your little one in the main auditorium and use the set aside room as & when you or your little one need a quiet place. There are no separate facilities available for toddlers or children. When you book, you will be given a Drop Box link (you don’t need Drop Box to use the link) giving you access to download the main session talks from both the European Summit 2015 and the BSUK Conference in 2017. This link will be active until the 2019 Conference starts on 27th September this year. Please select this attendees preference for one set of seminars on Friday and another on Saturday. 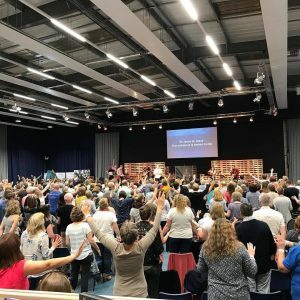 There is also the option to indicate if the attendee would like to give additional consent for their address to be used to send them the Bethel Sozo UK Newsletter (once or twice a year) and also, seperately, if they would like to be advised of any future Bethel Sozo UK events in their area.